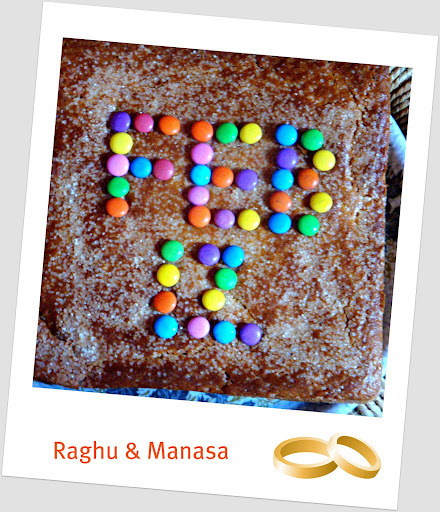 Its 12/02/12… My dear brother’s engagement day and it calls for a celebration. I have never baked a cake for a celebration and so I wanted to do one for this! Since my brother is not a great fan of chocolate, I wanted something simple yet YUMMY!!! 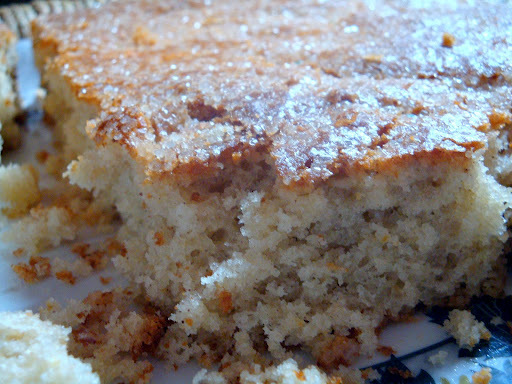 Then CINNAMON struck my mind..Thanks to Divya’s cooking blog. Here I go.. I tried this and undoubtedly this turned out to be one of my best till date..!! 1. Separate egg yolk and white. 2. Beat oil, sugar and egg yolk till the sugar almost dissolves. 3. Sift maida, cinnamon and baking powder (together flour mix). 4. Beat the curd properly. 6. Mix in the curd, flour mix into the sugar syrup and mix till it becomes a smooth batter. 7. Add egg white and mix it in upward and downward movement. 8. Grease a pan with oil and sprinkle flour(i used wheat flour) and spread it evenly as a thin layer. 9. Preheat oven at 180 degrees. 10. Pour the batter into the grease pan and spread it evenly. 11. Bake it for 35 minutes till the cake turns into golden brown color. A lawyer by profession, dancer by passion. This blog is all about EVERYTHING that interests and inspires me!